Posted by bushae on Tuesday, February 7, 2017 in Past Events. For the next installment of the Program in Jewish Studies Lecture Series 2016-17, award-winning author Gary Shteyngart joins Professor Sasha Senderovich for a conversation and reading from Little Failure: A Memoir, a candid, witty, deeply poignant account of Shteyngart’s experiences as a Russian Jewish immigrant in New York, his haphazard college pursuits, and his initial forays into a literary career. Most recently, Little Failure was included on The New York Times list of “25 Great Books by Refugees in America.” The conversation will feature a discussion of immigrant experience in America, the experience of Jews in the USSR, as well as a broad range of questions about the role of satire and humor in both literature and everyday life in authoritarian societies. Join us on Thursday, March 2nd, at 7pm at the First Amendment Center, located at 1207 18th Avenue, Nashville TN 37211 (on the corner of 18th and Edgehill). The event will take place in the Lecture Hall, and free parking is available at the John Siegenthaler garage, directly opposite the venue. 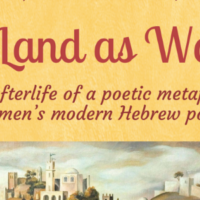 This event is free and open to the public and is sponsored by the Vanderbilt University Program in Jewish Studies, the Department of English, the Department of Creative Writing, and the Curb Center. There will be books available for purchase and signing to follow. *The Program in Jewish Studies aims to make our events accessible to all who wish to attend. The venue is wheelchair accessible. Please contact the department for further accessibility information or to make a request for an accommodation. Gary Shteyngart was born in Leningrad in 1972 and immigrated to the United States seven years later. He is the author of the novels Super Sad True Love Story, which won the Bollinger Everyman Wodehouse Prize and was selected as one of the best books of the year by more than forty news journals and magazines around the world; Absurdistan, chosen as one of the ten best books of the year by The New York Times Book Review and Time magazine; and The Russian Debutante’s Handbook, winner of the Stephen Crane Award for First Fiction and the National Jewish Book Award for Fiction. His work has appeared in The New Yorker, Travel + Leisure, Esquire, GQ, The New York Times Magazine, and many other publications and has been translated into twenty-six languages. For more information please visit www.garyshteyngart.com.